Lisa Ely, OD earned her Doctor of Optometry degree from Southern College of Optometry in Memphis in 2002. She completed her Bachelor of Science degree from Ouachita Baptist University in Arkansas in 1998. Since then, Dr. Ely completed a Fellowship in ocular disease from the Vitreoretinal Foundation in 2003. 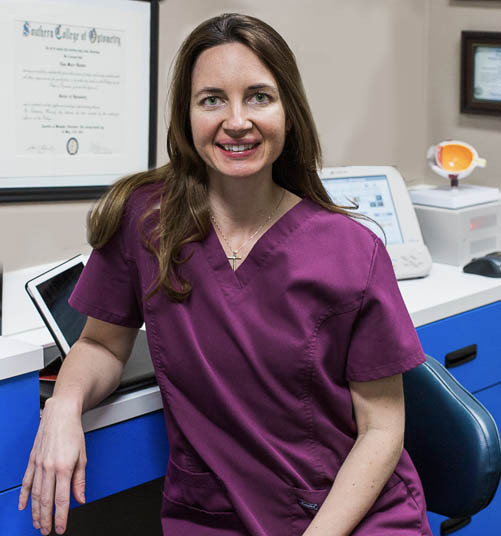 A licensed therapeutic optometrist, Dr. Ely has owned All Eyes Vision Care since 2006. She has participated in several vision screenings and health events as well as mission trips to Brazil and Thailand and cared for vision in Costa Rica. Dr. Ely is married and the mother of one young son. She attends Community Church.